This mare has an old head on a young body. She is very straight forward to ride. Snaffle mouthed and got three well established paces. She does an easy to ride dressage test and is straight at every fence. 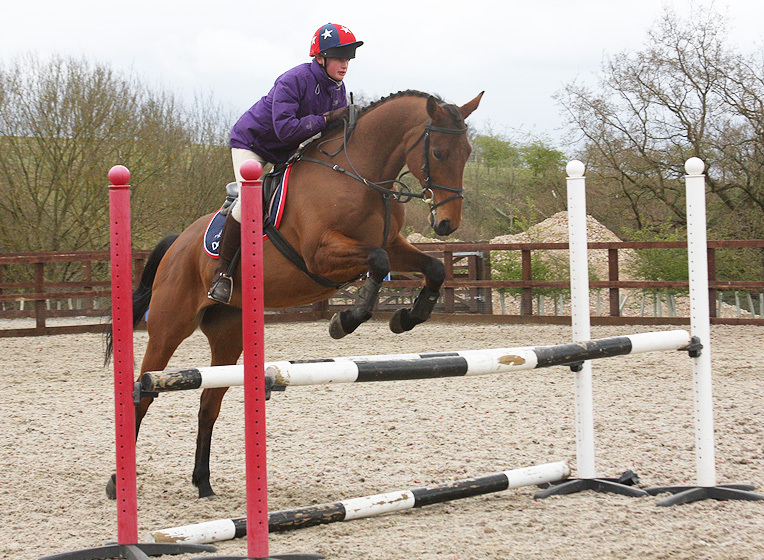 She is an ideal horse for a Pony Club family with teenagers to do teams, ODEs, jumping rallies etc. She has a great temperament and is kind. Bay filly with real presence. By Group II winning son of Caerleon, Amfortas out of quality mare by Gotz II and dam line of consistant Darkest Hour (Absalom ex Queen of Twilight) . Jumping British Novice/Discovery. Been XC schooling and competed around Poplar Park, Stratford Hills & Boundary Farm and will continue competing until sold. 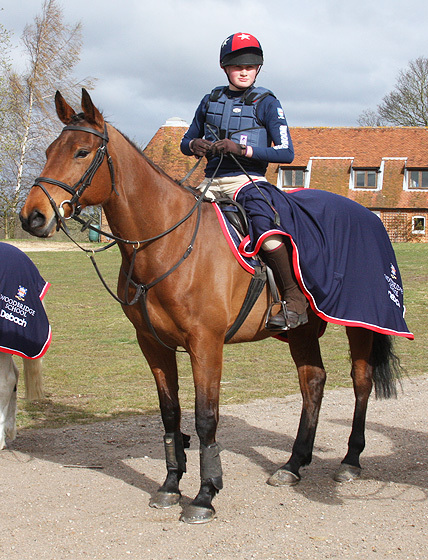 She has been regularly placed in Hunter Trials and has been used as a lead horse for youngsters. She is a really solid mare and has been kept and used as a lead horse for young breaker horses; I have led my youngester daughter off her out hacking and my sister who only rides at W/Es due to work commitments has enjoyed competing her. It is now time for her to find a home where she will be enjoyed and have fun competing. She is fit and competing. She is being sold as we need to make room for young horses coming on.